BOISE, IDAHO - This New Year's Eve, the famous ball in Times Square won't be the only memorable icon ringing in the new year. A tenacious Idahoan is rallying the Gem State around one of the tallest skyscrapers in downtown Boise to drop an oversized, illuminated effigy of a potato from the roof at the stroke of midnight. They're using a Shopify store to accept donations to make the event possible. Dylan Cline, a fourth-generation Idahoan, was watching a documentary on the ball drop in Times Square in 2011 when a light bulb switched on. He remembers thinking, "How cool would it be if instead of a ball they dropped a giant potato?" Idahoans from around the state are making travel plans to see their version of a monumental New Year's Eve. It has been a long road for Cline, who only received final approval from City Hall a few weeks ago to shut down entire city blocks. It took hundreds of meetings to get to this point. But, by far, the biggest hurdle was finding funding. "I wanted this to be a free community event that showcased the best that Idaho has to offer," said Cline. "A lot of people told me I was taking on the impossible. I knew we just had to keep working and try again." 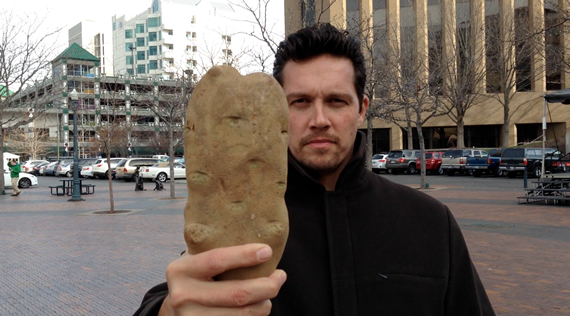 Cline and the Potato Drop team failed to find suitable funding to make the event happen in 2012. The team approached every one of Idaho's biggest companies in search of a sponsor. A lot of companies were inspired by the grandiose nature of the event, but none were willing to step up to the plate and actually provide funding. The cost of the event included bands, stages, warming tents, security, light shows and, of course, a 16 x 10 foot foam potato. Finally, the team turned to Shopify and crowdfunding. While business sponsors were not quick to invest, Cline noticed that the people of Boise loved the idea of the Potato Drop. "It then seemed natural to turn it into a community funding initiative," said Cline. Crowdfunding seemed to be a possible solution for making this grand idea a reality. After researching popular platforms Kickstarter and Indigogo, the team concluded that neither were designed to fundraise for an event like the Potato Drop. "Crowdfunding platforms tend to be oriented around either product concepts or equity," explains Derek Leavitt, the marketing director for the event. "Since our event was free, we had limited options that we could sell as rewards. Equity in a charitable event wasn't an option either." With only months to go, the team recruited Boise-based social media consultancy Rhythmsy and software company Key Design Websites to build a platform on Shopify that would be ideal for rallying the community around funding an event. Initial contributions from Idaho Investors Cody Draper and Sandra Nahas sparked a grassroots effort. Suddenly, all the companies that weren't willing to fund the event directly were willing to donate their products. 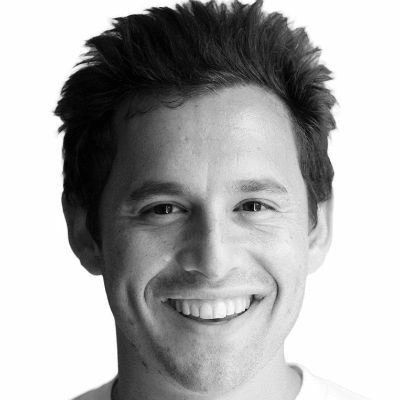 Using the flexibility of a Shopify-based crowdfunding solution, the teams oriented Grotato.com so that the crowdfunding rewards were the products donated. Within a week, Grotato.com was designed, built, launched and selling product. A custom e-commerce solution created in a week is an accomplishment in its own right. "Shopify made this feat a reality. Their shopping cart solution can be running within minutes and editing their built-in themes was easier than writing html," explains Leavitt. To native Idahoans, having an event like the Potato Drop is its own kind of dream come true. "This is going to be the new Mardi Gras of the west," reports a member of Boise City Hall. "The treasure valley is lit up with excitement, and for good reason!" To help grow the giant potato on Shopify, go to www.grotato.com. To see the Potato Drop live, keep an eye on KTVB - Idaho's News Channel 7.